Following their fourth consecutive win over Newcastle in the Tyne Wear derby, Gus Poyet's side must now push on and fully kick-start their campaign. The Black Cats proved they can hang with teams around, or even bigger than their caliber as shown in the Tyne Wear derby when they played very well against Newcastle and left St. James Park with the victory. There were plenty of positives to take out of the game versus Newcastle, such as their great passing game from flank to flank, and Lee Cattermole's superb job of guarding the back line. Steven Fletcher came close with a terrific volley that tantalizingly smacked off the bar, proving he carries some brilliance and can turn a game around with one shot. Poyet has a solid side, whom continue to deliver on the field. As the festive period takes over, Sunderland still have plenty of work to do. This is the time to really get a grip of their form and continue winning games after they have proved their worth. Poyet's men beat 9th place Newcastle to move four places away form the relegation zone in 14th. They are just three points away from Liverpool who are perched in 10th, so if The Black Cats can carry this momentum into the New Year they could be serious mid table contenders. 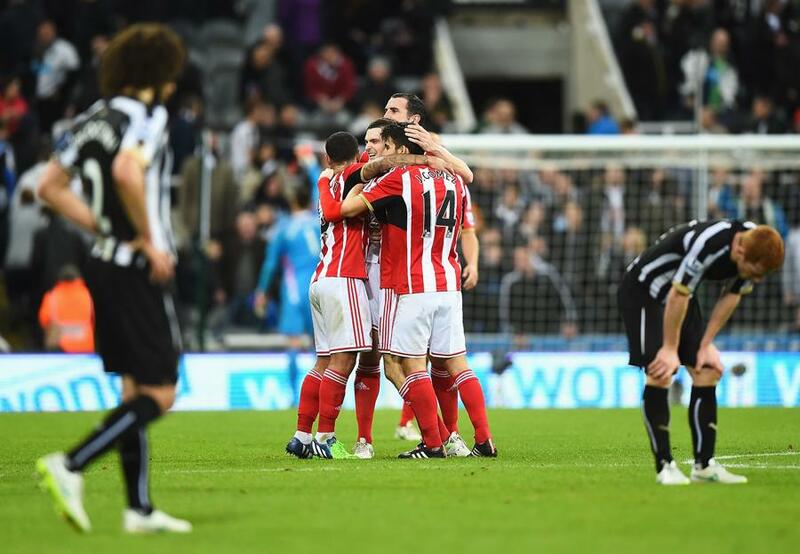 What a turnaround its been for Sunderland since the crushing 8-0 defeat to Southampton in October. After that devastating blow to The Black Cats, they have only lost a couple of games and previously before the win at Newcastle, Poyet's side drew five games out of six which isn't the greatest way to go about your business but at least Sunderland picked up valuable points instead of nothing. They are unbeaten in six games against Newcastle now, and with The Black Cats' current run of form, it would be a perfect time to go all attack and try to win matches instead of drawing. They have the talent in Fletcher, Wickham, Gomez up top in attacking positions, plus Cattermole's superb defensive work to protect the back four. The win at Newcastle is Sunderland's biggest advantage; it's a green light to really push and win games; something they are more than capable to do. How far do you think The Black Cats can go this season? Is a solid mid table position in definite reach or will other teams eventually catch up with them? Share your thoughts in the comment box below!